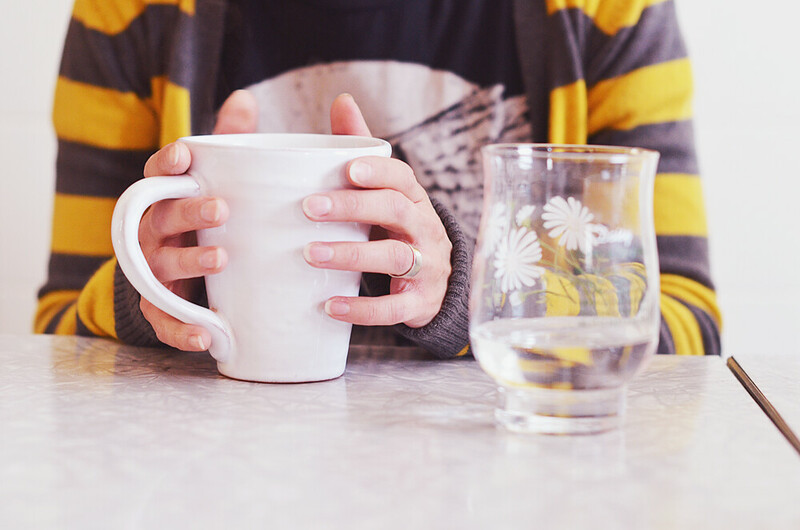 7/365 :: Tea with Andrea. 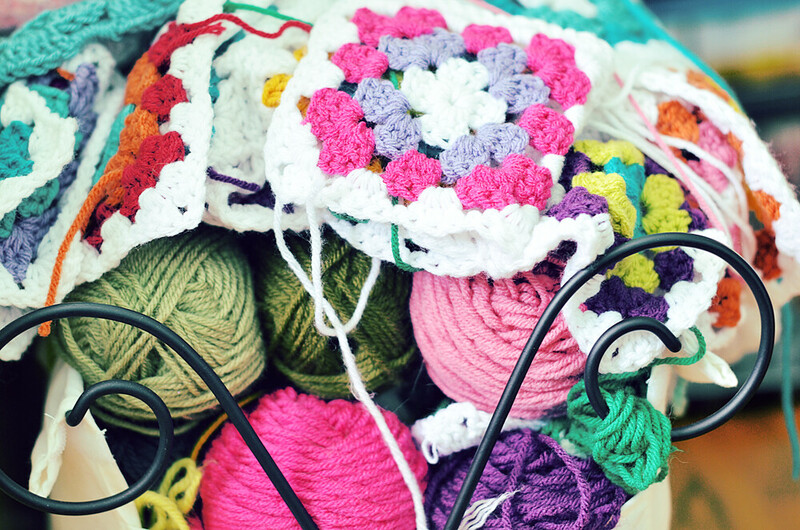 8/365 :: Pretty coloured yarn is one of my favourite things to photograph. 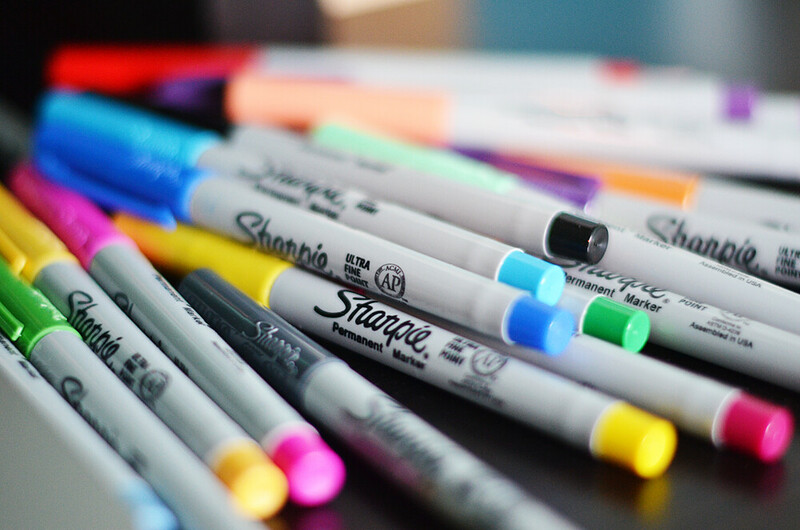 9/365:: I've been using my Sharpies to colour code my blog posts. I still haven't got a planner so I made myself a January calender on a piece of cardstock. 10/365 :: Andrea came over to work on some bags and this was the awesome fabric she was using. 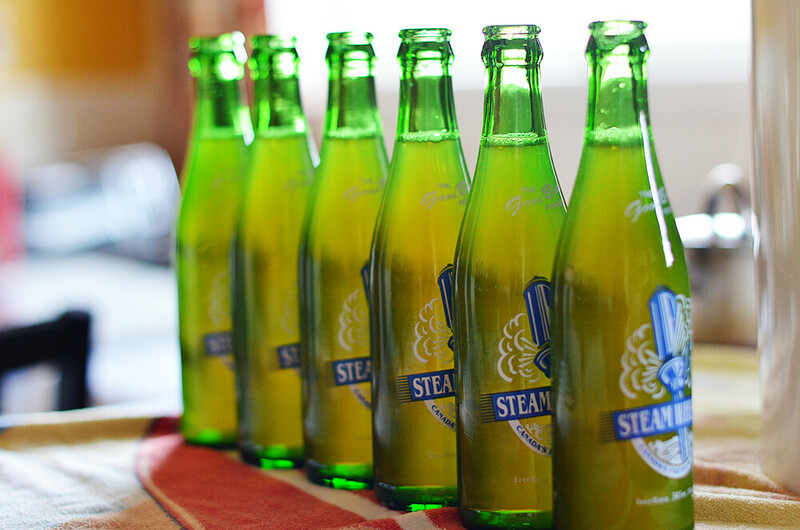 12/365 :: On Saturday Ivan was bottling some beer that is going to be delicious. It's a Raspberry Lambic and it smells so good. I have a car again today so I'm going to restock our fridge with groceries and maybe go see a movie. I haven't been to a matinee in so long! I hope I have time. Pinny had her stitches taken out today and she is happily cone free and looking extra cute. 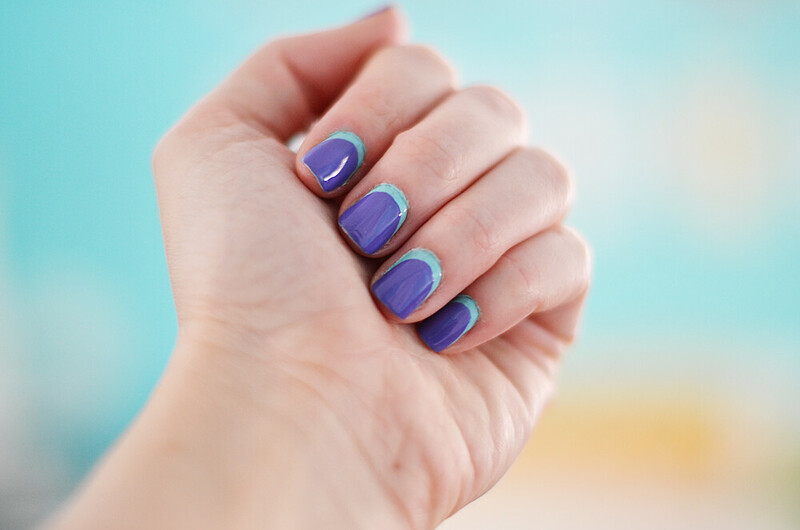 I've been for a long time to do some nails like yours. But I was thinkin like gold beneath and blue or red. 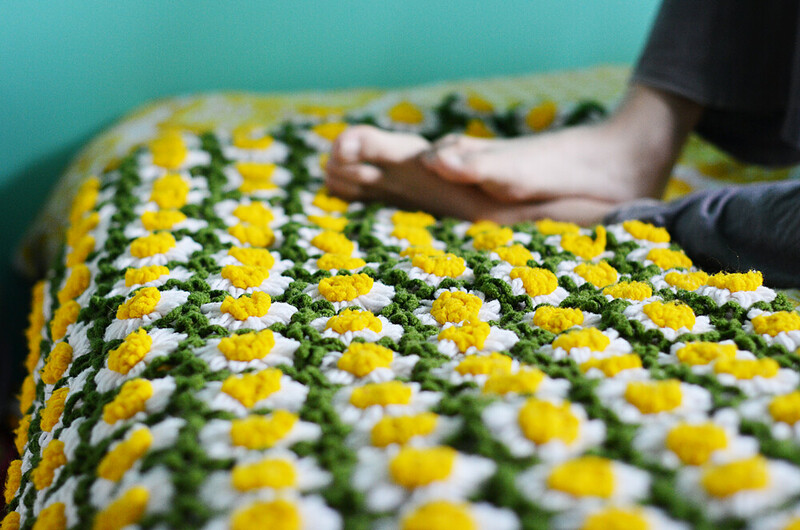 I love your daisy afghan! One day I tried to do some like that, but I give it up, my daisy wasn't so daisy-like. Good matinee! You deserve it! Such beautiful, sweet photos. I'm loving your 365 project. I found some great organizers at Indigo for 50% off (which was a week ago, so they could be cheaper now). They're meant for 'moms' but they have lots of space to write notes and lists and they have both the whole month view and week by week views. The fabric Andrea is using is so ridiculously cute!! Your project is going wonderfully. You have so much colour in all of your images, they're gorgeous! I always forget how awesome that dandelion blanket is until I see another photo and then I fall in love with it all over again! 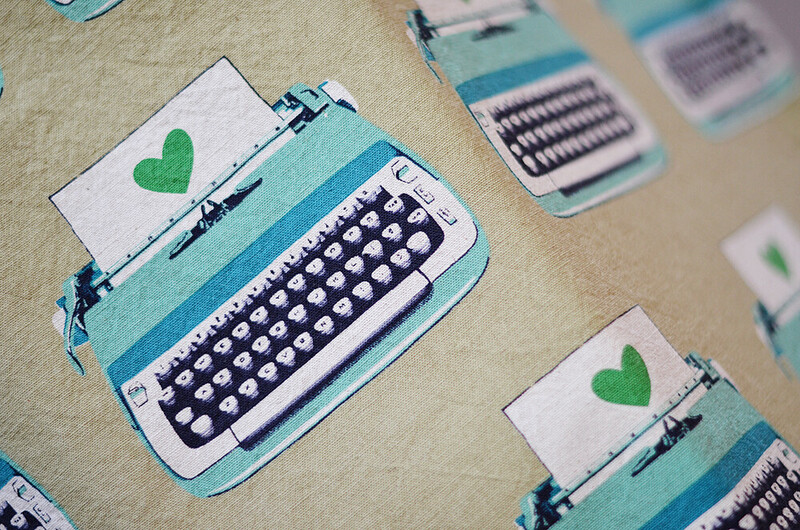 The typewriter fabric is fantastic! Ugh, I tagged this to comment and I totally spaced it out! That's what I get for checking my RSS at work. :) When I was in Seattle, I broke the bank at an awesome fabric store. One of the things I got was that awesome typewriter fabric. Too bad I only got 1/2 a yard, so I better make something small.